Sherilyn J. Pickering received her Bachelors of Art in Political Science and Sociology from the University of British Columbia. 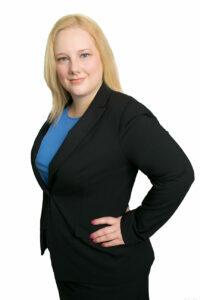 She subsequently attended the University of Windsor, where she obtained her Juris Doctor in 2010. Since being called to the bar in 2011, Sherilyn has practiced exclusively in the area of plaintiff personal injury litigation. She has experience with motor vehicle accidents, benefit denials, slip and fall accidents and Long Term Disability claims.